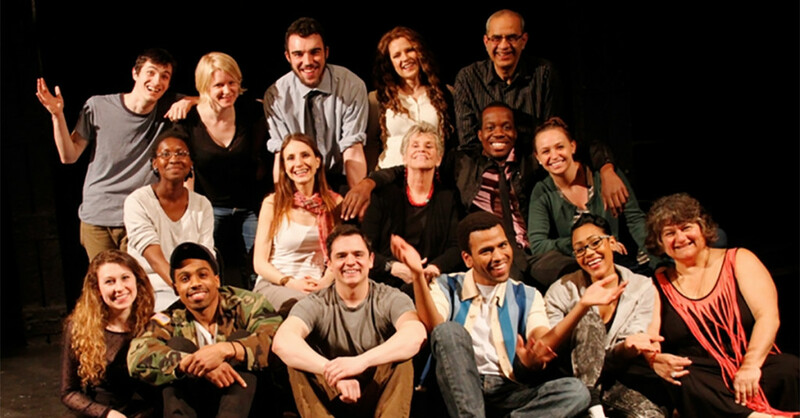 Professional Development for Actors is a highly charged class for those who wish to develop skills in character development and script analysis. With exercises linked to scripted material, engaged artists work together in a challenging setting to create compelling and effective moments on stage. The goal is to prepare them for auditions and the deep work of a potential role. Eight weeks of class work lead to a showcase of scene and monologue work. An audition is required for entry into the class. Students who have completed Company One Theatre’s program have then been cast in shows at companies around the city including The Huntington, Commonwealth Shakespeare, A.R.T., Lyric Stage, Actors Shakespeare Project, Zeitgeist, Shakespeare Now, Boston Playwrights’ Theatre, Wellfleet Harbor Actors’ Theatre. Many students are featured in our own productions as well. Teacher Ros Thomas-Clark was a Founding Faculty Member of the Boston Arts Academy, where she served as Chair of Theatre. Ms. Thomas-Clark works professionally as an actor and director for stage, radio and film. Teacher Victoria Marsh also works professionally as an actor and director and is Emeritus President of the Board of Company One. As part of every session, a master class is taught by one of Company One Theatre’s acclaimed directors. An audition for new students is required; returning students must re-apply but need not audition. Professional Development for Actors is a highly charged class for those who wish to develop skills in character development and script analysis. With exercises linked to scripted material, engaged artists work together in a challenging setting to create compelling and effective moments on stage. Eight weeks of class work culminate in this showcase of scene and monologue work, which is your chance to see what these actors can do! Check back soon for the date and time for this spring’s showcase! 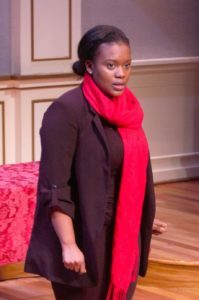 Students who have completed the course have gone on to perform at companies around the city, including Huntington Theatre Company, Commonwealth Shakespeare Company, American Repertory Theater, Lyric Stage Company, Actors’ Shakespeare Project, Zeitgeist Stage, Shakespeare Now, Boston Playwrights’ Theatre, Wellfleet Harbor Actors’ Theatre, and more. For more information about Company One Theatre’s Professional Development for Actors Class, contact us at training@companyone.org. Auditions will be scheduled in five minute slots on Tuesday, March 5 from 6pm to 9pm at the Calderwood Pavillion at the BCA. Click here to request an audition time.